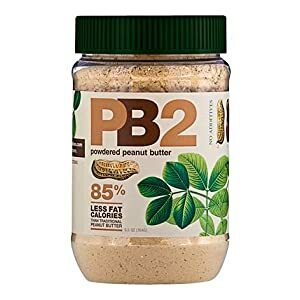 lisamarcia.com: Powdered Peanut Butter - PB2 Review - Dang Good! 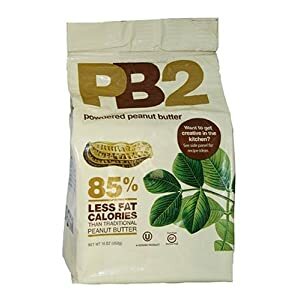 Powdered Peanut Butter - PB2 Review - Dang Good! Rant alert: I have a new favorite product - Powdered Peanut Butter! It's called: PB2 . Who knew this even existed? Not me, until a week ago from a client of mine and fitness coach of mine, Christina Volk. I'm reviewing the PB2 16oz Bag I purchased off Amazon.com. **Lisa Marcia does not get compensated to review this product by Bell Plantation. Just a momma, bloggin' great products! My focus on my fitness goals right now + my addiction to peanut butter led me to this product. Just 1 TBSP of Organic PB = 90 calories! One little TBSP....boo. This product boasts about fat reduction and calorie reduction, but what about taste reduction?? My review is below. If you want to try it out for yourself, here is a link: TRY IT HERE! Color post-water: toasty regular colored PB from a jar. Taste: Again, just like real PB. I must say, if you're a JIF or SKIPPY person and haven't tried natural or organic PB, PB2 will probably taste a little less sweet than you're use to. I prefer the less sweet, however if you just plan to mix this in a smoothie or something else like peanut butter cookies, then you won't ever notice the difference. My overall reaction to this product is I LOVE IT! It's quick, easy, and you don't have to worry about using it all at one time. The PB I use has to be refrigerated, with this, you don't have to. As a mom of a little one who LOVES eating peanut butter every day, this was a great option for me. Plus, I can take it on the go and not worry about it getting everywhere. It's powder, so just add a little water and you've got Peanut Butter. Working on cutting calories, but still want to enjoy PB? Here's your chance. This stuff is the real deal. The one downside for me is that it's not organic, however it is processed naturally and the 3 ingredients in it are: Roasted Peanuts, Salt, Sugar. Simple enough for me.